State's Attorney Marilyn Mosby announcing that charges against three remaining officers are being dropped in the Freddie Gray case. 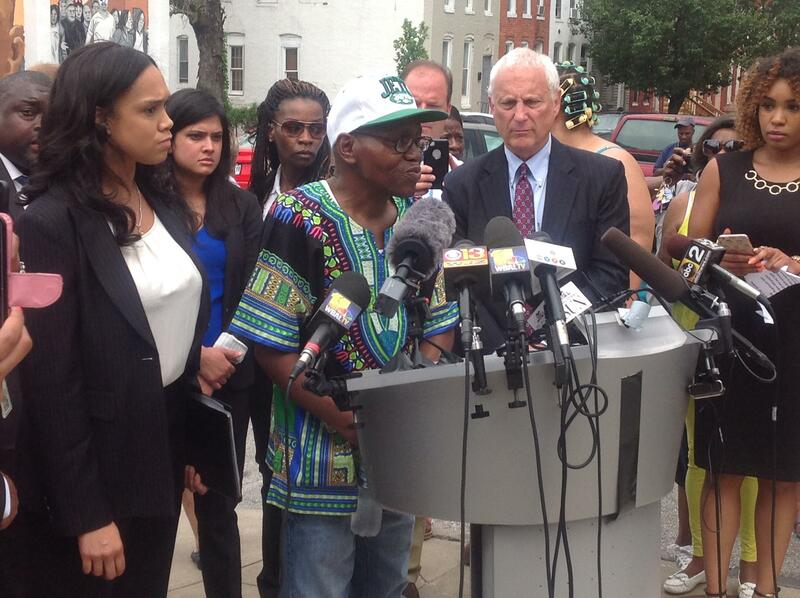 She made the announcement at Gilmor Homes in Sandtown-Winchester where Gray was initially detained. WYPR's Kenneth Burns reports on what happened in court and the reaction to the charges being dropped. 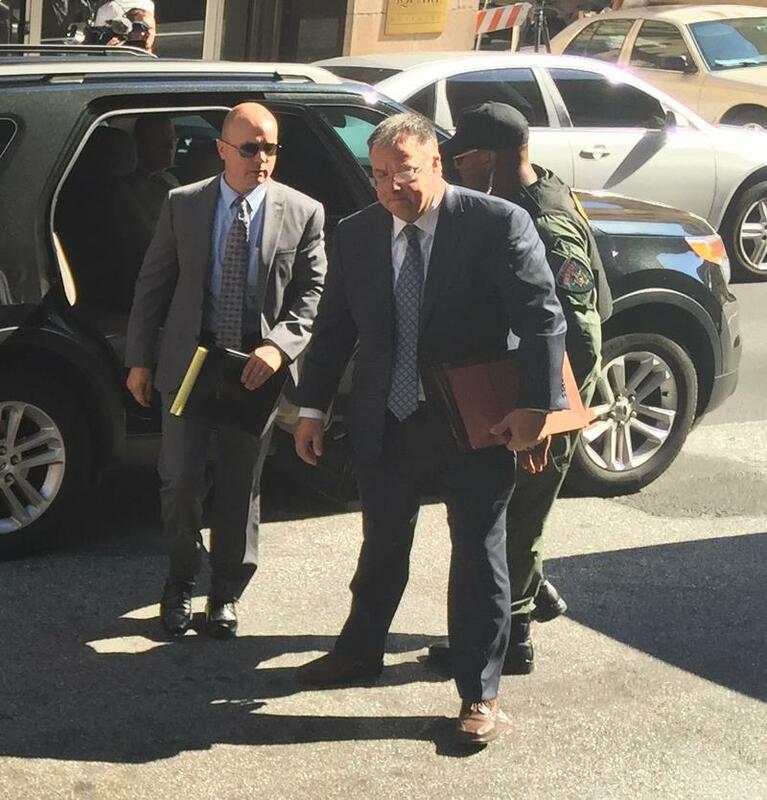 The trials of six officers in the Freddie Gray case came to an end Wednesday morning when prosecutors dropped charges against the remaining officers facing trial; Officers Garrett Miller and William Porter along with Sgt. Alicia White. Prosecutors failed to win a conviction in the case. Officers Edward Nero, Caesar Goodson and Lt. Brian Rice were acquitted in May, June and July, respectively. Porter’s original trial ended in a deadlocked jury last December. Gray was a 25-year-old black man who was critically injured in the back of a police van in April 2015 and died a week later. His death sparked Baltimore’s worst riots in five decades. With the trials over, Judge Williams lifted the gag order he imposed upon prosecutors and defense attorneys. A defiant State’s Attorney Marilyn Mosby delivered her remarks in the 1700 block of Presbury Street in West Baltimore; where Gray was initially detained by Officers Miller and Nero. She said she dropped the charges “after much thought and prayer” and blamed the legal system. “It has become clear to me that, without being able to work with an independent investigatory agency from the very start, without having a say in the election whether our cases proceed in front of a judge or a jury, without communal oversight of policing in this community, without real substantive reforms to the current criminal justice system, we could try this case 100 times and cases just like it, and we would still end up with the same result,” she said. A confident and fired up Mosby was cheered as she made her way to the podium and stood by her decision to charge the six officers. Baltimore State's Attorney Marilyn Mosby has dismissed the charges against three remaining officers in Freddie Gray's death; Officers William Porter (upper center) and Garrett Miller (lower center) and Sgt. Alicia White (lower right). Officers Caesar Goodson (upper left) and Edward Nero (lower left) and Lt. Brian Rice (upper right) were tried and acquitted by Circuit Judge Barry Williams. At the same time, however, she said the charges were not an indictment of the entire police force and reminded the crowd that her father, mother and grandfather were cops in her native Boston. 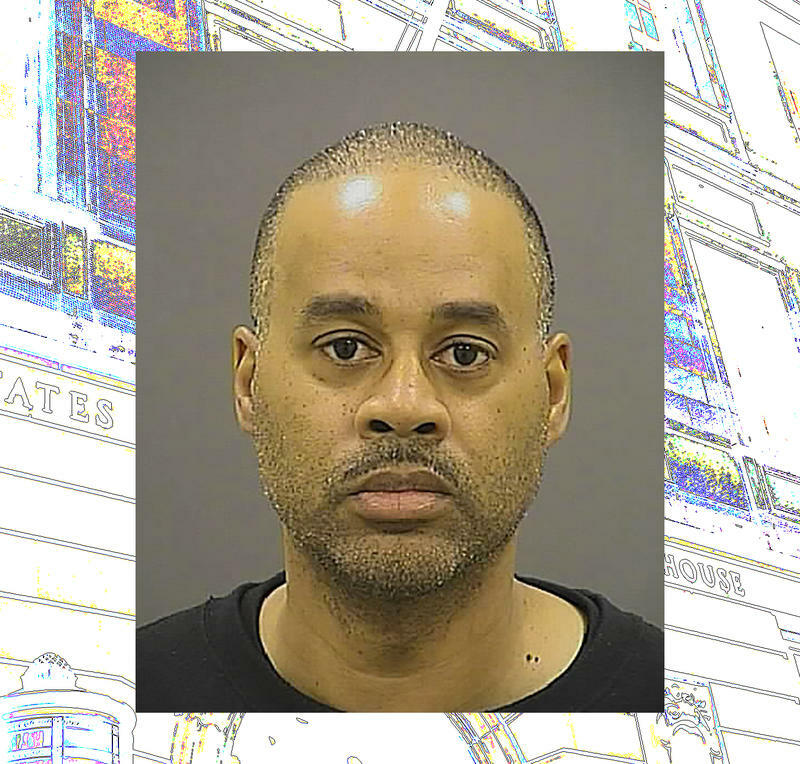 Mosby said prosecutors do not believe that Gray killed himself when he was handcuffed and shackled in the back of a police van and stand by the medical examiner's finding that his death was a homicide. 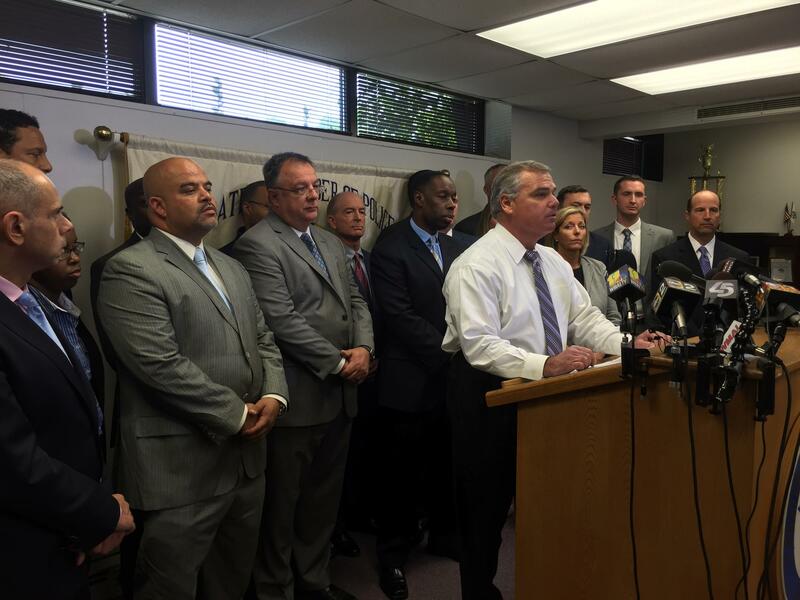 She added while there were no convictions in the case, progress was made in police accountability in other ways. University of Baltimore Law Professor David Jaros said decisions in the previous trials factored into prosecutor’s decision to not pursue the remaining trials. “The decisions in the prior cases suggested that this was a case that the state was simply not going to prove beyond a reasonable doubt,” he said. Former City prosecutor Warren Alperstein, who has watched some of the trials, said he was not surprised that the charges were dismissed. “After the state’s inability to secure a conviction in the Porter trial; coupled with the three acquittals and the other three bench trials, I think the writing was on the wall, frankly, that the state would continue to fail to in its efforts to secure convictions,” Alperstein said. Freddie Gray’s father said the family stands by the Baltimore prosecutor who led the case against six officers charged in his son's death. Richard Shipley said during a news conference Wednesday that the family "is proud to have her represent us." Gloria Darden, Gray’s mother, blamed police for her son's death and accused officers of lying to investigators. Joann Taylor, who lives near Gilmor Homes, Gray’s old neighborhood, said she was hurt and frustrated. Richard Shipley, Freddie Gray's father, said the family is proud to have Baltimore State's Attorney Marilyn Mosby "represent us." Harold Perry, who also lives near Gilmor homes, said he was not surprised by today’s outcome and that he saw it coming. Activists say they are angry and disappointed by Mosby’s decision to drop the remaining charges. Sharon Black, an organizer for the Peoples Power Assembly, which has been holding rallies and protests in the city, said she thinks the anger will build in the community again because police aren't being held accountable. Tawanda Jones, whose brother, Tyrone West, died three years ago after an encounter with Baltimore police, said she was sad, but that she expected that none of the officers would be held accountable after observing how the previous trials have gone. Mayor Stephanie Rawlings-Blake, who is in Philadelphia for the Democratic National Convention, said in a statement that reforms in the police department will continue to move forward. Senator Ben Cardin said he respected the “surely difficult decision” Mosby made. 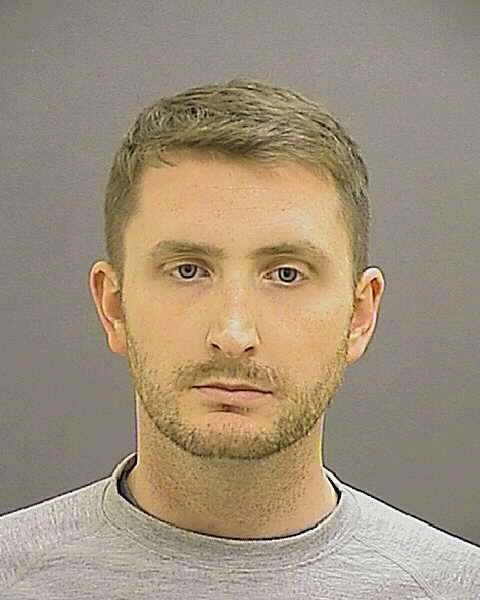 Lt. Gene Ryan, president of the Baltimore City Fraternal Order of Police, said he is pleased that charges against three remaining officers have been dismissed. But he called State's Attorney Marilyn Mosby comments outrageous, uncalled for and simply not true. The defense attorneys for the officers didn’t have much to say as they left Courthouse East. But they joined Lt. Gene Ryan, the president of Baltimore’s police union, in the afternoon. Ryan said the FOP is pleased that the charges have been dismissed. But he called Mosby’s comments outrageous, uncalled for and simply not true. He criticized Mosby for announcing the charges last year on the steps of the War Memorial and questioned whether there actually was an independent investigation into the case. “Over 15 months since the announcement, my colleagues and myself are still waiting and looking to see and hear about this independent, in-depth investigation,” he said. Bates said the state’s attorney’s office did not conduct an independent investigation, but the police department did. Bates said that accident took place sometime between the time the van left Penn North and returned to the Western District station when Gray was found injured. Lt. Ryan said he thought the evidence has proven they were right; that there was no wrongdoing by any of these six officers. While the officers have been cleared of criminal charges, they are still subject to a review being conducted by the Howard and Montgomery county police departments. Mayor Rawlings-Blake asked for patience. Meanwhile, Officers Goodson, Miller, Nero, Porter, Sgt. White and Lt. Rice are all on administrative duties while that review continues. WYPR’s Rachel Baye and Associated Press contributed to this report. 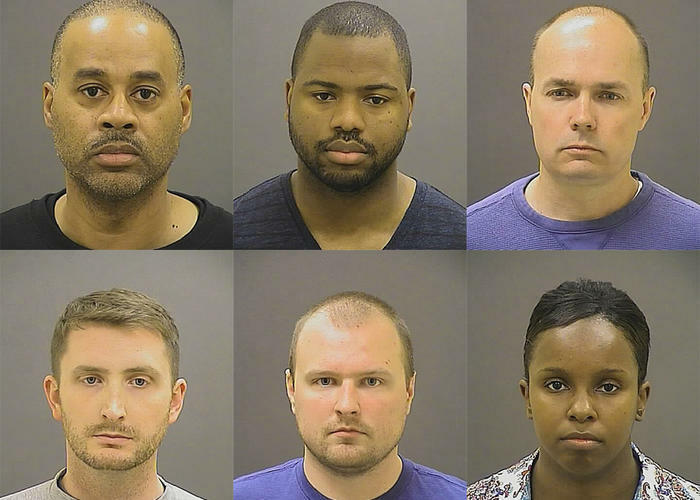 On May 1, 2015 – two weeks after Freddie Gray’s death - Baltimore State’s Attorney Marilyn Mosby stood before the world at the War Memorial to announce charges against six officers she says were responsible for Freddie Gray’s death. University of Maryland Law Professor Doug Colbert says that was a rare occurrence. “You must recognize the unusual nature of bringing criminal charges against any of the officers who are from the department that they depend upon for prosecution and ultimately conviction,” he says.